Now that the Form 2 has started shipping, we’re delving back into our forums and bringing a new round of community prints to get you inspired! First up this week is a fun print from a familiar user, Gary Carins, who previously provided us with his meshing gear drill model featured on our product page. Now he has printed the socket wrench that NASA sent to the International Space Station. Check out NASA's site to grab the model and print the wrench yourself! 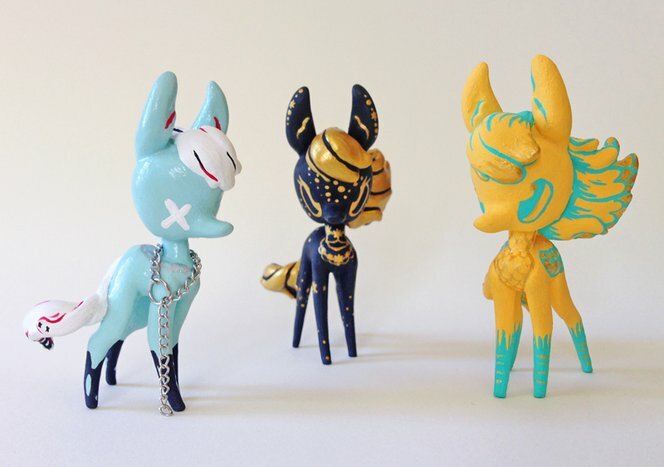 Back on Earth, user Sasha Katcher is designing, printing, and painting colorful animal figurines. Using ZBrush and the Form 1+, she carefully crafts each unique toy to sell in her online shop. Justin Cordesman printed all of the components of the Atlas 3D Scanner, using models provided on their Kickstarter page. He used Formlabs Tough and Clear resins to make the project come together. We’re excited to see how it works! Finally, we have an exciting project by artist Heriberto Valle. Unable to find a satisfactory bust of Joan of Arc on the web, Heriberto took it upon himself to sculpt her portrait. Even beautiful straight out of the printer, Joan awaits a final paint job. Stay tuned for more From the Forums posts as well as some upcoming user spotlights! Continue to share your amazing projects with us on the forums! We love to see what our community has created with our printers.